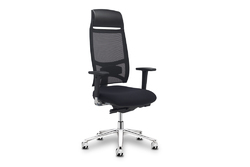 We are a leading supplier and manufacturer of Director Chairs & Black Director Chair. Our product range also comprises of Office Furniture, Home Furniture and Dining Chair. These chairs are made up of high quality material and are offered at highly reasonable rates. In order to append and respond to the diverse requirements of esteemed clients, we are able to offer Black Director Chair. The offered range is manufactured utilizing high grade raw material and innovative techniques in compliance with the international quality norms and standards. Along with this, the offered range is suitably checked on varied characteristics to maintain its authenticity throughout the designing process. Looking for Director Chairs ?